In india there are more than 50 crores of mobile customers and now a days the number of telemarketing calls you receive everyday is keeping on increasing and people are frustrated when they receive a call. Even India’s Finance minister Pranab Mugerjee received a telemarketer’s call when attending an important meeting saying they provide “House loan for the finance minister”. This is an clear example how people are disturbed by telemarketers in India. So how to block those unwanted calls? You can do it so by registering in the national “do not call registry”. 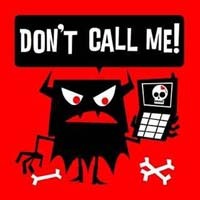 First join the do not call registry. This will maintain all subscribers list who have opted for “do not disturb service” A telemarketer will lose his license or face a fine of 500 Rs per call or sms he sends you after you register to DND service. Airtel postpaid and prepaid mobile users sms “START DND” to 121 and broadband and landline customers call 121. And fill up a form to register to dnd. Call up 1909 to register to DND. or SMS “START DND” to 1909 and for un-listing / de-activating DND send “STOP DND” to 1909. Use this link to activate DND. If you want to register yourself on the NDNC registry, simply SMS START DND to 1909 (toll free) and in case you want to de-register yourself from the NDNC registry SMS STOP DND to 1909 (toll free). Interactive Voice Response System (IVRS) – Call Toll-free number 1909 and follow the IVRS instructions for registring/de-registering. SMS – Send SMS to 1909 with keywords ‘START DND’. It will be registered. For de-registering SMS ‘STOP DND’ and it will be de-registered. i'll try it..its helpful 4 girls..
one more thing..u hv given discription hw 2 hac unwantd calls right..make sure u knw hw to open again..